We love the fact that talk show hosts are really getting creative these days. Ellen DeGeneres is pretty much neck-and-neck with Jimmy Fallon when it comes to bringing the fun. 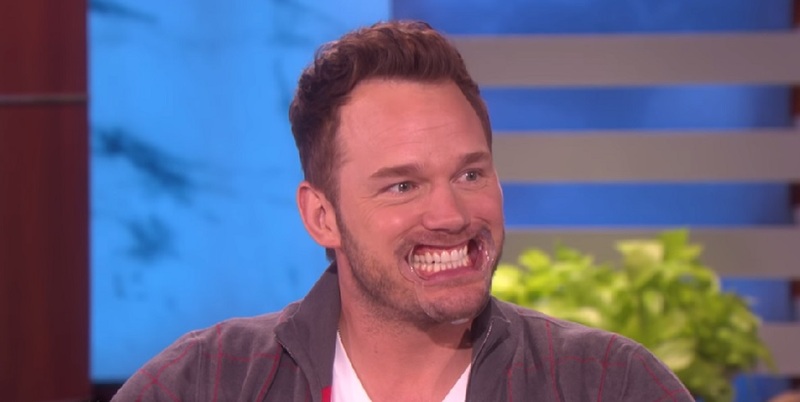 And recently, Chris Pratt played a game on her show that ended in nothing but straight-up hilarity. The game in question was called “Speak Out,” and from the looks of it, it’s not very easy. But luckily, he kept on truckin’ for our entertainment. However, our ultimate favorite part is when he totally loses it. And of course, this inspires him to break out into a pretty amazing rendition of “My Humps” by The Black Eyed Peas. Even DeGeneres started crying. Of course, the word he was trying to say was “bump,” but — well, that’s the fun of the game. Even with the mild impediment, Pratt and DeGeneres both knocked it out of the park. It turns out that Pratt has actually had some practice before. Hey Chris — next time you play this game with Anna and Jack? Please take a video and post it on Instagram. We have a feeling things get pretty funny when the mouthpieces come out.